Raymond Gilbert Boursia was born Jan. 23, 1947 in Seattle, WA. He passed away unexpectedly on March 21, 2019 at his home in Seattle. A product of the Seattle Public Schools Raymond attended Garfield High School leaving early to join the United States Navy where he earned the National Defense Service Medal after serving four years. Raymond married the former Rachel Robinson and their union was blessed with two children Raequel London and Ronald Boursia. Raymond enjoyed walking, yoga and spending time with family and friends. 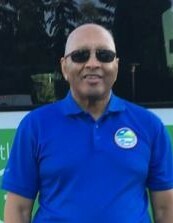 He worked many years for Microsoft as a MV Transportation Driver and received many Safety Awards in recognizing his safe driving record. In addition to his two children, Raymond leaves to cherish his memories siblings: Chester (Marian) Autry; Michael Autry and Carolyn Brown. Four grandchildren and a host of relatives and friends. lieu of flowers donations may be made to the YWCA in his name.